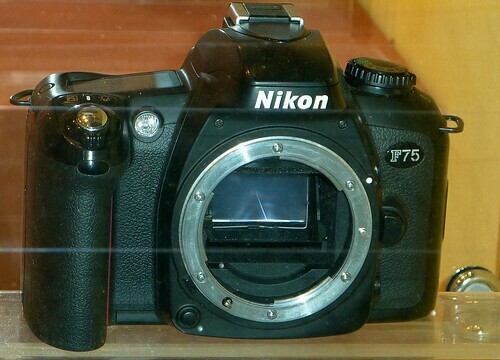 The F75 was released in 2003 by Nikon. 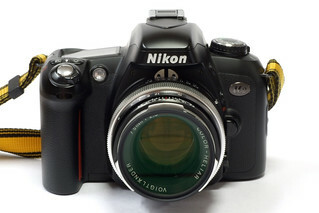 It is one of the last consumer 35mm autofocus SLR, marketed by them. It is known as the N75 in North America and the U2 in Japan. It was available in both silver and black finish. 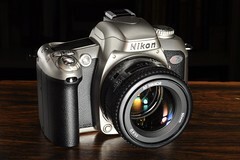 It was discontinued in 2006, along with a majority of other Nikon film cameras. This camera was the replacement to the F65 from two years earlier, but was available in most markets concurrently as stock had not depleted due to the short time on the market; as well as growing consumer interest in digital cameras. 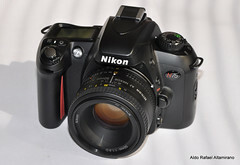 The F75 can only use DX coded film, non-DX film is set at 100 ISO, and infrared films cannot be used in the camera. The film transport uses a prewind system. It off loads the entire roll onto the take-up spool when loading, then winds it back into the canister as the film advances after exposure. If the back of the camera is opened, the shots that have already been taken will not be ruined. Because of various film lengths it counts down the number of shots available. Power is supplied by two CR2 batteries. This page was last edited on 8 May 2014, at 05:27.